"When you work with Revit some tasks can be very exhaustive and slow like creating, editing or deleting multiple Revit elements. ofctools helps you optimize and streamline your work either with individual tasks or through a batch process. You may also combine different commands in a row to accomplish combined tasks. 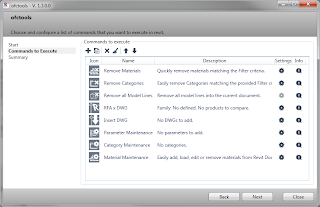 "ofctools PRO does provide advanced maintenance commands. 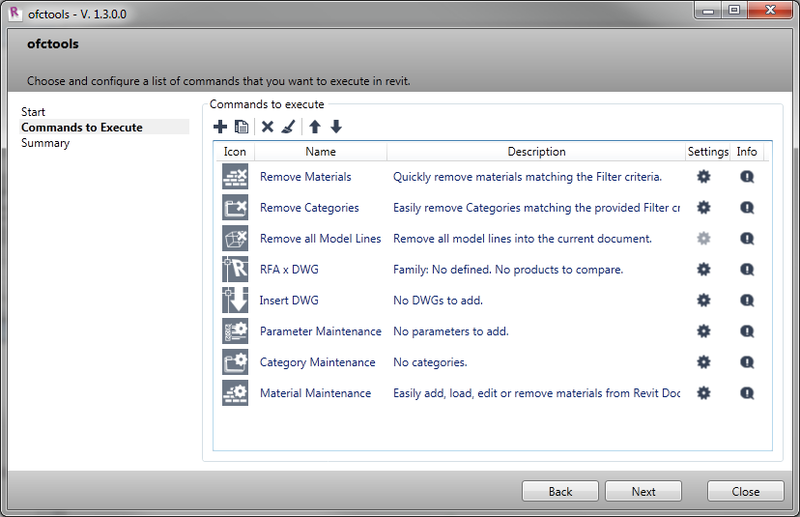 If you just need basic features you may want to check ofctools LITE that provides simple maintenance commands." The ofctools PRO add-in is available on the Autodesk Exchange | Apps website for USD 19.99. Tim, the price was reduced recently to U$ 19.99. It also works now with Revit 2014. Thanks for the update. I've made the change.